Take advantage of our installation service. From office relocations to workstations we provide installation. Our experienced installers know how to install all types of modular systems furniture. We’ll set up your office furniture according to your office layout design. Once installation is complete you’ll have safe and sturdy office furniture. Self-installation can take days if you don’t know what you’re doing. Save yourself time and energy with our installation service.We’ll get it right the first time. There’s a small fee for installation. Contact us for details. There’s more to installing workstations than meets the eye. Make sure it’s done right with installation for workstations. We’ll do installation for workstations right the first time. You won’t have to have them re-installed. Installation for workstations insures workstations have the room and functionality your employees need. We understand how to put in the right panels and other parts for workstations. Your workstations won’t fall apart while being used. Ask about installation for workstations. Let our installation experts install your desks. We’ll make sure your desks are properly assembled. We’ll test out each shelf, drawer and door. Your desks will be installed and put into the location you want. You won’t have to worry about desk drawers jamming when you try to close or open them. We’ll do installation for your desks while you attend to other things. Our installation process is careful and done with precision. 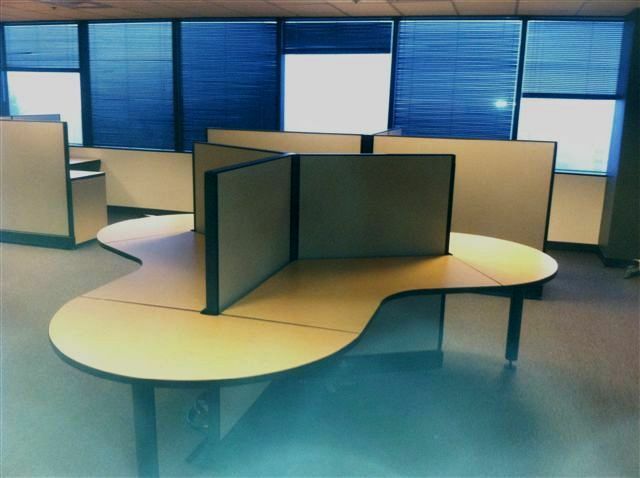 Installation is available for all of our pre-owned and new desks and other office furniture.